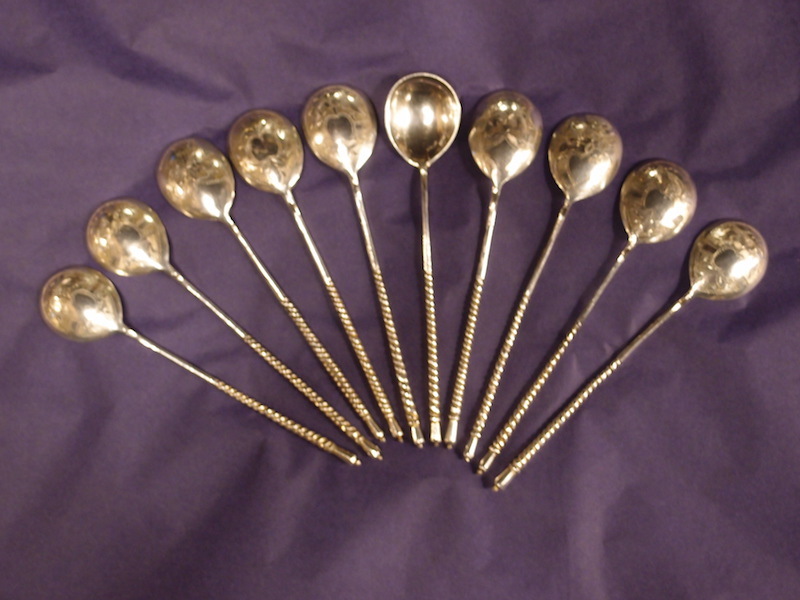 This group of 10 silver spoons is hallmarked for Moscow 1884, 84 zolotnik silver (87.5%). The maker is Roman Aristokov. The spoons are in the PanSlavic or Old Russian Style, with fig shaped bowls and "barber's pole" handles. 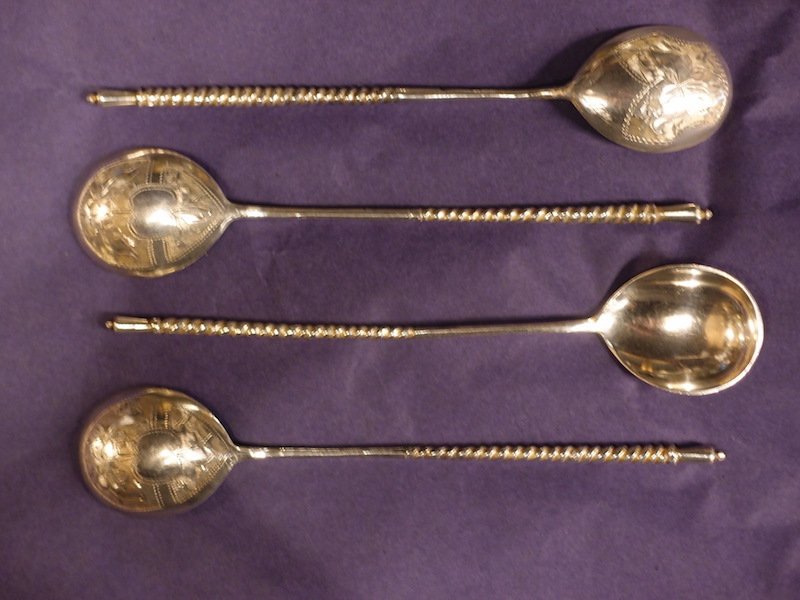 The Each spoon is 13 cm long and weighs about 12 grams. Available individually, but with a discount for a purchase of six or more. The designs on the bowls are of three pattern: seven of one, two of one and one of one. This group of 10 silver spoons is hallmarked for Moscow 1884, 84 zolotnik silver (87.5%). The maker is Roman Aristokov. The spoons are in the PanSlavic or Old Russian Style, with fig shaped bowls and “barber’s pole” handles. The Each spoon is 13 cm long and weighs about 12 grams. Available individually, but with a discount for a purchase of six or more. The designs on the bowls are of three pattern: seven of one, two of one and one of one.